Below is our work agreement / survey order form. The service and repair work agreement link is at the bottom of this page. Charges and date(s) of service will be agreed upon by the client and the surveyor / technician before this form should be printed and signed. You can print this form by clicking here and selecting the print icon or clicking the link at the bottom of this page and printing via PDF. Please read the agreement carefully, inital each page, and sign the last page (four pages total). 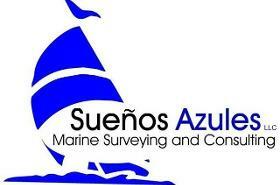 You can return the agreement to us by either giving it to the surveyor / technician on the day of the survey or service, faxing the document to us, scanning the document and sending it to us at our email address: Surveyor@SuenosAzules.com or mailing the document to us at the address at the top of the form. If you are unable to print this form, the surveyor / technician will provide the form on the day of the survey or service. The signed agreement form along with payment (or deposit fee) must be received by us on the day of the survey or service before services are rendered. If you do not see the form above you can view and print it by clicking here. For the serivce and repair work agreement, you can download a copy here.